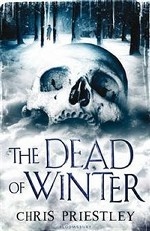 Аннотация к книге "The Dead of Winter"
Michael Vyner recalls a terrible story, one that happened to him. One that would be unbelievable if it weren`t true! Michael`s parents are dead and he imagines that he will stay with the kindly lawyer, executor of his parents` Until he is invited to spend Christmas with his guardian in a large and desolate country house. His arrival on the first night suggests something is not quite right when he sees a woman out in the frozen mists, standing alone in the marshes. But little can prepare him for the solitude of the house itself as he is kept from his guardian and finds himself spending the Christmas holiday wandering the silent corridors of the house seeking distraction. But lonely doesn`t mean alone, as Michael soon realises that the house and its grounds harbour many secrets, dead and alive, and Michael is set the task of unravelling some of the darkest secrets of all. A nail-biting story of hauntings and terror by the master of the genre, Chris Priestley.